Home internet YouTube:How to activate YouTube's hidden 'Dark theme'! 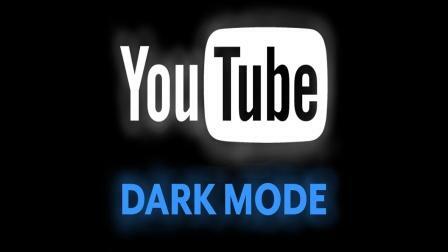 YouTube:How to activate YouTube's hidden 'Dark theme'! 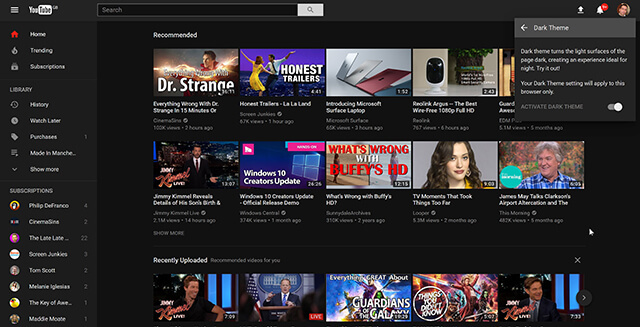 There is an option on YouTube that activates a dark Mode on the platform. Here's how to do it, if you have an account. Did you know that YouTube offers a different graphic design than its eternal white background? Since this spring, the video platform offers an option that allows to easily switch to a dark mode, provided you have an account. The tuning, discovered in April by a member of Reddit, has been accessible for some time without any complicated manipulation. How to benefit? It's easy: first sign in to your YouTube account, ask to use the new website interface and go to the top right of the screen at the icon that displays your avatar. Click it and scroll down to the "Dark Mode: Disabled" line. Then, just activate the setting by checking the appropriate option. The bottom of the navigator will turn from white to black. To return to white, deactivate the setting. An example with the skin benefiting from the dark Mode.
" The dark theme helps darken the clear surfaces of the page, creating an ideal brightness for the night, " says the platform. It's smarter to go through this option than to change the brightness of your monitor, as this process affects the screen in its entirety, so also the videos you are watching, while the YouTube option only touches the background of the site. Note that enabling this setting affects only the browser you have been manipulating on, by submitting a cookie. In short, if you have activated the dark Mode on Firefox, and you want to have it on your other browsers, be it Edge, Chrome, Safari or Opera, you will have to go each time in the options of the site . We could have hoped more practical.